SAB Thunderbolt Blades were designed to grow the performance of your helicopter. The amazing design was developed not only for an asthetic purpose, but it also improved the visibility of the tip of rotor, higher visibility is necessary in very low maneuvers. 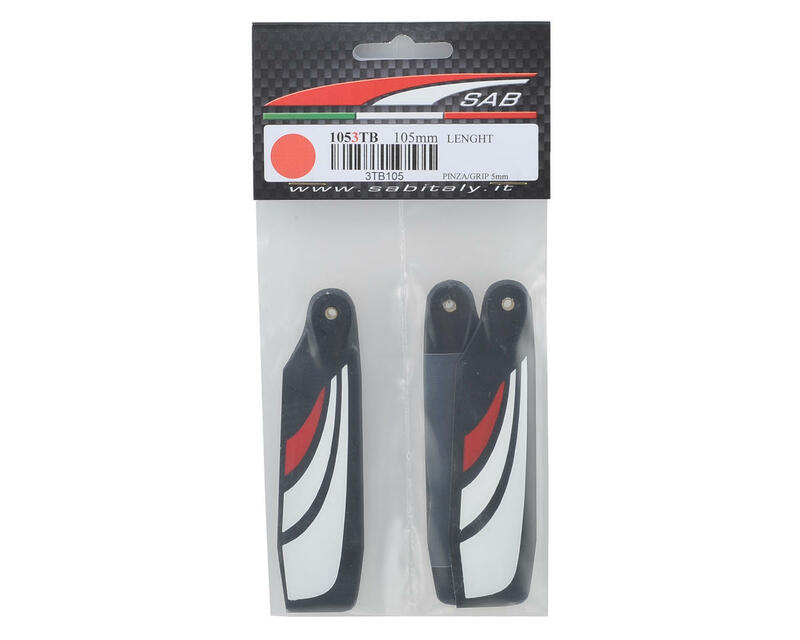 The variable profile along the radius of the rotor makes the "SAB Thunderbolt Blades" 20% more efficient in comparison to the SAB Blackline Blades and gives great stability to the whole helicopter without compromising the agility of the rotor. The chord varies along the radius of rotor (Shorter at the root, larger at tip); thanks to the aerodynamic of the rotor, gives more thrust exactly where the rotor generates it, that allows harder and more precise maneuvers in flight. 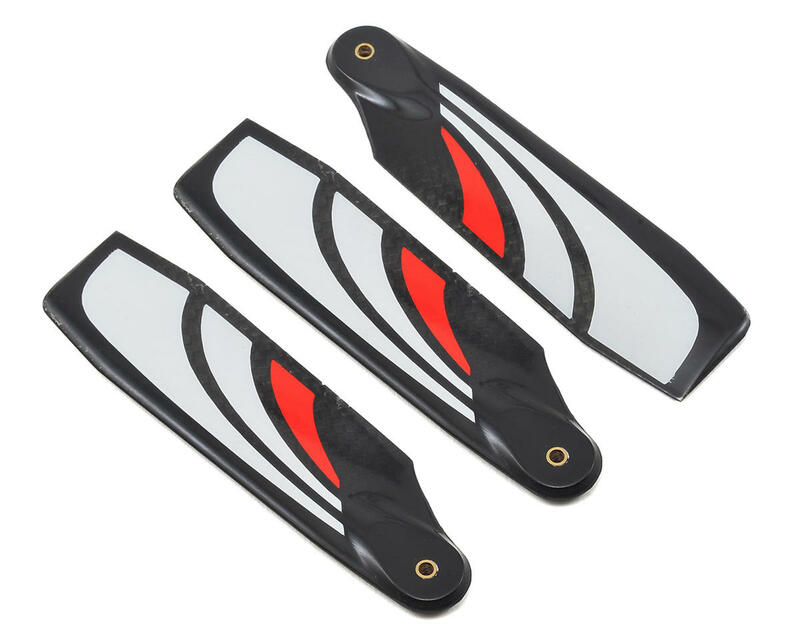 To improve the stiffness the "Thunderbolt Blades" includes double layer of unidirectional carbon fiber. In order to guaranty safety in the event of a crash, we include a steel safety wire alongside the leading edge of the blade.